Lifting member retention rates and securing a stronger brand presence nationally has seen Western Australian-based health insurance provider, HBF, invest and roll out a marketing automation platform in eight months. HBF Engagement & Retention Marketing Manager, Allan Byrne, told CMO the decision to adopt marketing automation was twofold: Gain a stronger ability to reach out and secure new business, but also manage and nurture existing relationships with customers on a more personalised basis. The rollout comes amid a wider digital transformation program at HBF that’s also seen the organisation invest in a solution from GMC Software to digitise and improve its communications management approach. “We have national intentions and a growing national presence, but the economy in the last few years has been slowing, the cost of health insurance has been rising, online aggregators are more in our faces, and bigger national insurers are taking more interest in the Western Australia market,” Byrne said. Key to ongoing success is holding onto more members than ever before, Byrne said. Although HBF boasts the highest retention rates of Australian open healthcare funds, he noted more could be done to personalise engagement and keep customers happy. There’s also the need to convert new prospects. “It’s the newer people entering the private health space that are the ones most at risk of leaving, or won’t return to us unless we make ourselves relevant,” Byrne commented. “It’s both about customer marketing and new business – we need to be as proactive and energetic as anyone else, and be better than anyone else at not letting one person come to us and leave without having a conversation with us. Capacity wise, we didn’t have that previously. HBF has chosen to rollout Oracle Eloqua, and went live with the platform on 12 January after an eight-month rollout and integration program. Byrne outlined a number of phases, as well as the need to deliver “X factors” along the way. “The first step was identifying the stakeholders and forming a project team, and bringing executives on the journey as to the need and urgency for a marketing technology solution,” he explained. “The first X factor was the build of the project team. It consisted of senior subject matter experts in areas of the business affected, which transcended marketing, IT, legal, compliance and frontline services. That group has the experience and trust of their leaders to make decisions swiftly and act agilely. The second step was creating a project roadmap. Within this, the first phase has been integrating marketing automation with CRM and existing systems – a vital task if the platform is to be more than just an email alternative, Byrne said. Data security and governance were critical during this first part of the rollout, he said. Phase two, and the current focus for Byrne, is looking beyond integration to new horizons. Phase three is operational, and involves decommissioning legacy tools and platforms. 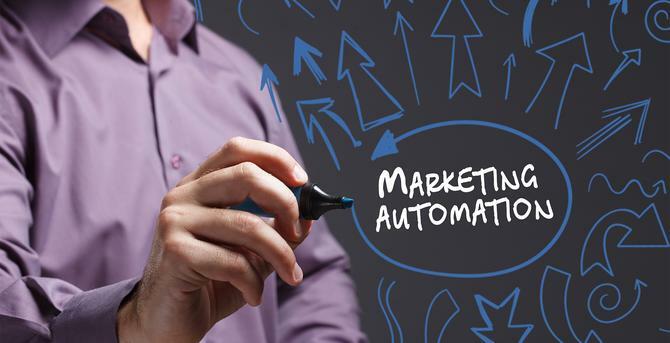 Marketing automation as a tool is an enabler, but it’s not the whole solution, Byrne said. “You need sound strategy, which has to be informed by even more sound insight,” he said. To ensure this, HBF has undertaken customer journey mapping exercises around retention and identified key demographics to focus on. Churn, cancellation and retention is the priority for Byrne, and he’s working on tailored onboarding programs targeting members over their first six months, then one year, two years, and five years. These need to transcend channels as well as frontline, customer service and communications, he said. Again, that means removing functional silos and having a more centrally planned and executed approach. “We’re building different communications plans for new members who have switched versus new members who’ve never owned health insurance before, versus new members in WA, those in Perth, of a particular age group, then the east coast,” Byrne said. “It’s a matrix of communications. The hard metrics Byrne will use to gauge the success of the investment include new business development, and improving the rate of “recoverable cancellations”, or people who have recently switched away or moved because of an affordability issue. Through the process, Byrne said the thing he’s most impressed by is the business’ ability to think and act agilely. “Our digital transformation as a business is only at the beginning. Every big change starts with small steps,” he said. “We started small with our first execution published by Eloqua, which was a simple EDM campaign to a small group of people. But the point was we’re enabled, and there’s not many at our level doing this.